Energy drinks are one of the most popular beverages in the world. with millions sold each year, it is undeniable that they are a force to be reckoned with. They’re easy to get a hold of, taste delicious and give that well-needed energy kick. But they hold many secrets which are explored below! Energy drinks were originally produced in Japan, created to enhance sports performance and keep Japanese businessmen at the top of their professional game. They were an immediate hit, and Europe caught on quickly as Red Bull was developed in Austria come the mid-1980’s (1). Red Bull was the first form of energy drink introduced to the USA in 1997, a good ten years after it had its world debut in Austria, in 1987 (2).The USA is now the leading consumer of energy drinks, with approximately 1.5 billion cans of Red Bull being sold in 2004, this ‘highlights the enormity of the industry’(3). In 2015 energy drink sales in US convenience stores had a whopping 8.5% unit increase in a 52-week investigation (4). The fact that energy drinks and their sales are still extremely high and continuing to grow brings to light any adverse side effects these popular beverages may have. Living life as a professional bodybuilder may seem attractive. But most people are unaware of the gruelling diets and training that bodybuilders put themselves through, never mind the challenge and risks involved in maintaining that lifestyle. The story of Dean Wharmby, a loving father and professional bodybuilder, is scary proof. In Dean’s time as a bodybuilder, he would consume 10,000 calories a day, which is four times the recommended caloric intake for males. But this is how much he had to consume to maintain his size and muscle mass. To convert these calories into energy and muscle, Dean would eat a mix of fast food and balanced meals including chicken, fish, and eggs. But his biggest mistake? During his workouts, he would down two energy drinks every hour. The energy drinks seemed to help at first; they would keep him focused and awake during these strenuous training sessions. But then Dean was diagnosed with cancer, which led him to abandon his bad habits and turn to natural medicine instead of chemotherapy. What’s sad is that when Dean’s tumor began to shrink and disappear, he quickly picked up his old habits which included frequent consumption of energy drinks. 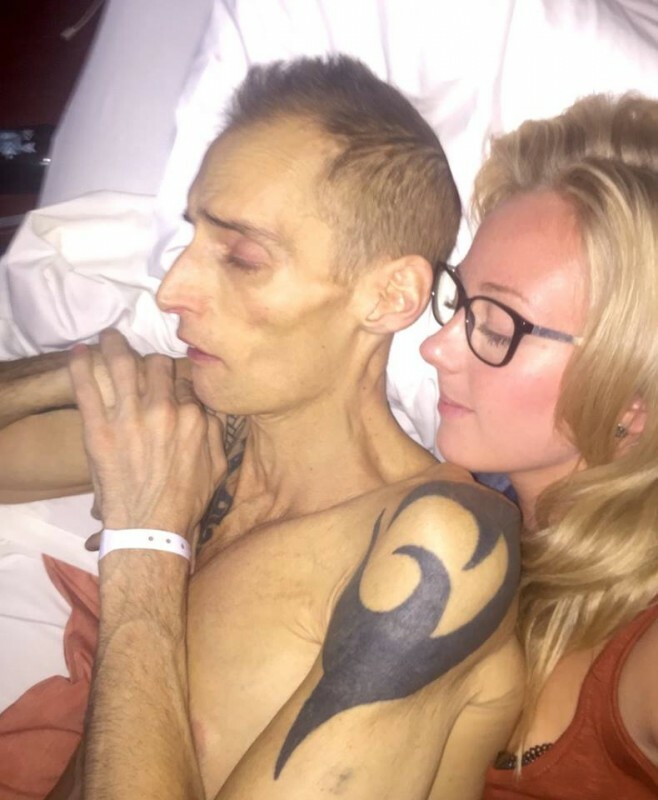 Eventually, doctors diagnosed him a second time with liver cancer which they say actually destroyed Dean’s liver and promoted the growth of cancer cells. Unfortunately, this time it was too late to treat the cancer naturally or with chemotherapy Last year, he passed away, leaving behind his wife and young daughter. 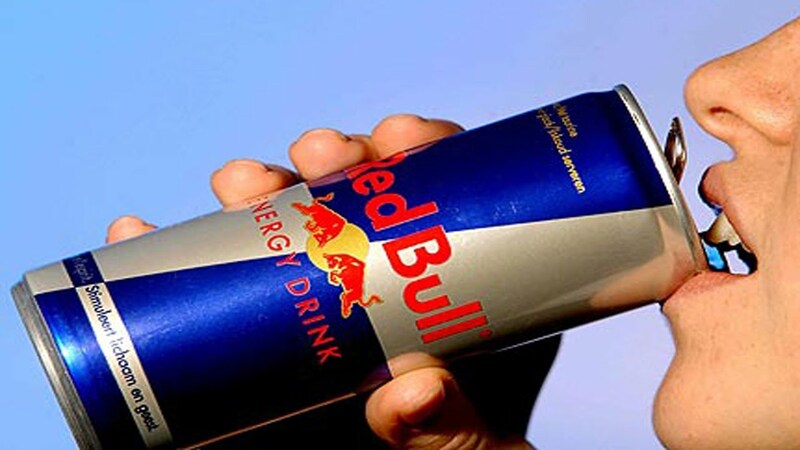 What Do Energy Drinks Do To your Health? ‘The term “energy drink” refers to beverages that contain caffeine in combination with other ingredients such as taurine, guarana, and B vitamins, and that claims to provide its consumers with extra energy’, which are ingredients that may be highly dangerous to our health (5). Different brands of energy drinks contain various levels of caffeine, ranging from 50 to 505mg per can or bottle and the caffeine concentration being between 2.5 and 171 mg per fluid ounce. So that could be a dangerous amount of caffeine being consumed if you have more than one energy drink in a short amount of time (6). Studies have briefly looked at the idea that caffeine has adverse side effects on your cardiovascular system. And although the results were not broad enough to have stricter rules placed on energy drinks, they did encourage some European countries such as Denmark and Norway to ban the selling of energy drinks (7). Caffeine has also been argued to have similar characteristics to certain drugs such as alcohol or smoking as research has shown the side effects caffeine withdrawal may have. ‘A population-based serve revealed that 30% of a sample of 162 caffeine users fulfilled diagnostic criteria for substance dependence when applied to caffeine’(8), further proving the addictive side to energy drinks. Unfortunately, the USA seems to have somewhat lax views on caffeine, and its side effects as the amount of caffeine and individual labels do not need to be put on energy drinks according to the FDA. They say that ‘For healthy adults, FDA has cited 400 milligrams a day—that’s about four or five cups of coffee—as an amount not associated with dangerous, negative effects’(9). However, no guidelines for caffeine intake for adolescents or children have officially been put in place, nor how many energy drinks you can consume. It’s scary to think that most energy drink advertising targets young adults who could potentially cause caffeine dependence from a young age. Niacin is also known as vitamin B3. It has been known to have a negative side effect on the liver, causing damage and even liver failure. Energy drinks often contain niacin to enhance the caffeine effects, and an average energy drink may contain over 40mg of niacin. Dean Wharmby’s story isn’t the only real life example of the effects of energy drink consumption on the body. A shocking revelation took place when a man was hospitalized with severe symptoms that he thought were just flu-like. But once he started developing jaundice he knew something was wrong and went to the doctor for medical help. They diagnosed the 50-year-old with hepatitis, an inflammation of the liver that can lead to liver disease and cancer. The man stated he had been consuming 2+ energy drinks a day to help boost his energy during his highly tiring construction job over the past three weeks. He had no traces of liver problems in his family nor any links to hepatitis. When the doctors diagnosed him, they were profoundly interested in the relationship that energy drinks, niacin, and hepatitis has. Read the full case study here! Although it is not 100% clear whether the extreme intake of energy drinks and the formation of hepatitis is fully linked, it is worth paying attention to, as another lady was diagnosed with hepatitis after consuming an above average amount of energy drinks per day.Her case study can be found here. It is clear more research on the correlation needs to be carried out. However, it certainly isn’t worth risking your health for a quick energy boost which comes from unnatural sources. Why not try one of the following natural ways to boost your energy and keep you going throughout the day! Coconut water– a great source of natural sugars and electrolytes which are guaranteed to give you an immediate energy boost. Matcha Green Tea– contains an ingredient called L-Theanine which allows you to be in a state of relaxation while maintaining a high level of alertness, promoting concentration levels.Try this matcha drink for a wicked energy boost and to aid weight loss! Honey– a great form of natural sugars and carbohydrates! Honey is not only delicious, but it’s also a great energy booster as well. Add it to hot water, tea or smoothies for an instant pick-me-up. Ginger, lemon, and cayenne- these three ingredients are all amazing at kick starting your body. Both ginger and lemon act as natural astringents which give your body that energy boost its craving. Cayenne pepper is a fantastic way to kick start your metabolism. Just juice the ginger, squeeze in the lemon juice and add a pinch of cayenne pepper for a morning shot! Banana and wheatgrass smoothie- bananas are a sweet, natural carbohydrate high in energy and fiber to keep you going throughout your morning. By adding wheatgrass to your banana smoothie, you’ll add even more of an energy boost as it provides your body with an insane amount of vitamins and nutrients as well as building red blood cells to transfer oxygen throughout the body. More oxygen means more energy for your body to keep going! Even though there are not many clinical studies regarding the side effects of energy drinks on our health, it is clear that the side effects that may take place after excessive caffeine and niacin intake could be very detrimental to your health. So stop buying energy drinks and start making some of your own! You won’t be disappointed after trying one of our natural energy boosting substances, plus they’ll taste much better than those chemically enhanced beverages! Acute hepatitis in a woman following excessive ingestion of an energy drink: a case report https://www.ncbi.nlm.nih.gov/pmc/articles/PMC3141691/ Published: June 22, 2011. Accessed: November 22, 2016.